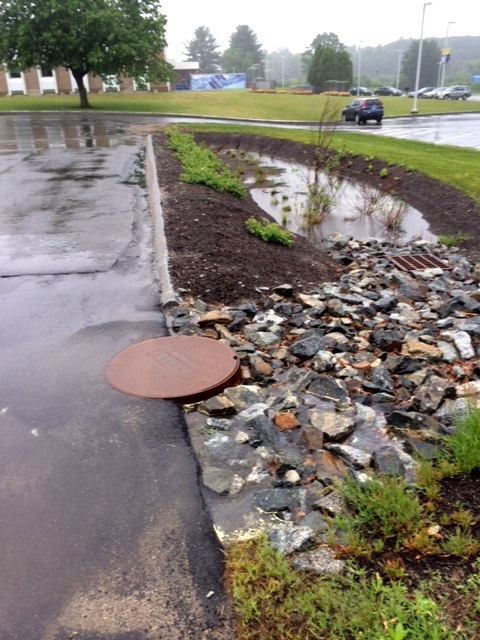 We’re having a nice rain event out here on the Seacoast so we decided to leave the comfort of our cubicle to take a few action shots of BMPs installed by the Hodgson Brook Restoration Project & its local partners. 1. Raingarden at Great Bay Community College: Infiltrate This! Buh bye oily sheen, you’re history…..
Give me your dirty water, your cigarette butts, your trash yearning to be removed from polluted runoff! Don’t hate me because I’m beautiful and I’m not afraid to get dirty…. 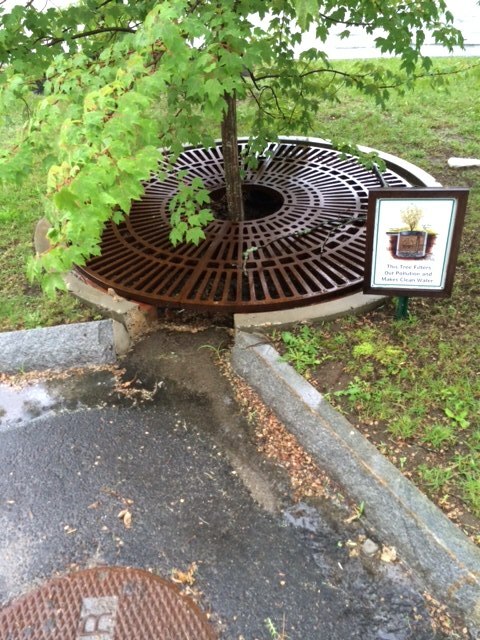 Many thanks to the Hodgson Brook Restoration Project, Great Bay Community College, City of Portsmouth, The Port Inn, and the UNH Stormwater Center for working so hard to get these great BMPs in the ground and working! 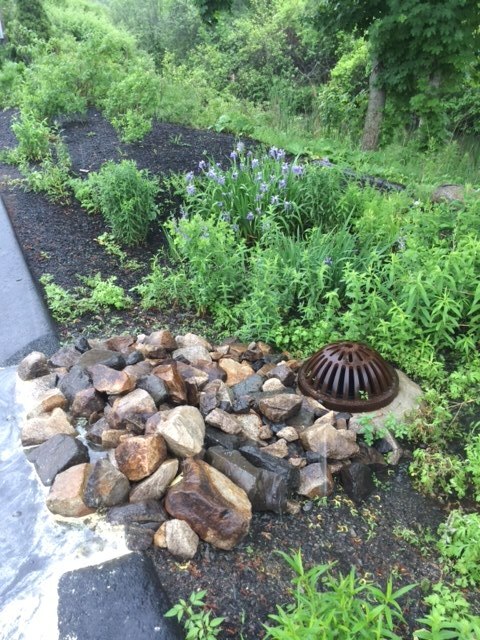 Funding for these projects was provided in part by a Watershed Assistance Grant from NH DES with CWA Section 319 funds from US EPA. Leave it to Sally to capture those BMPs doing their thing. They are looking good!